A superb example of pre-war Cunard White Star cabinetry. 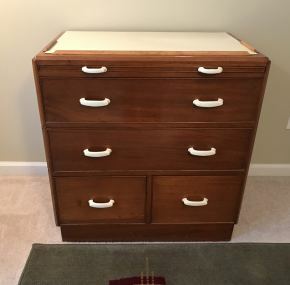 This dresser from second-class is made of solid mahogany. 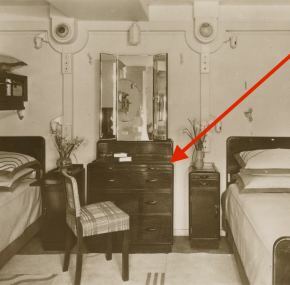 This is how high-quality furniture was made 80 years ago — built to last! However, the costs were simply too high post war to continue on with such largess, and Caronia and the Canadian quartet’s mahogany cabinetry was mahogany veneer over plywood. Complete with original handles and markings on the back showing its location on board. Measures about 32″ x 30″ x 18″. An excellent item of memorabilia that you can use on a daily basis as previous owners have since 1936! 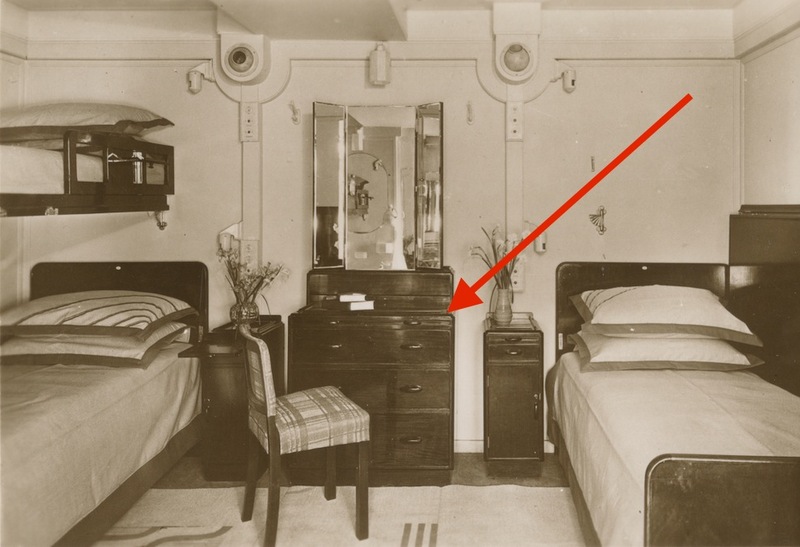 In my own collection is a very similar chest from the staff captain’s cabin on Caronia, which I use every day.